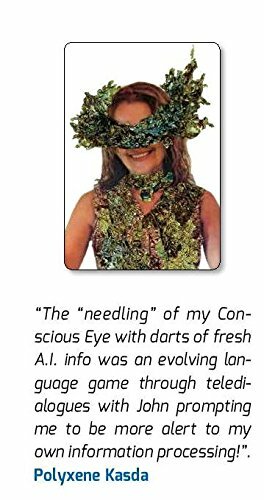 Artificial Intelligence Prof. needles The Conscious Eye ( a short chronicle by Poly Kasda). 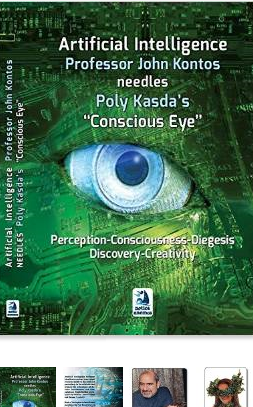 Artificial Intelligence Prof. John Kontos “Needles” Poly Kasda’s Conscious Eye. 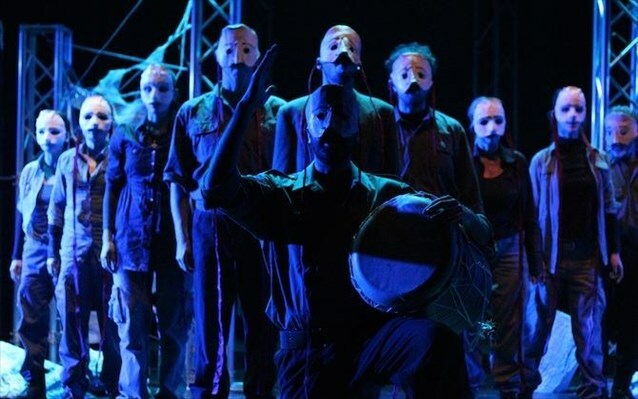 "What was the nature of this compulsive tide that pushed XXc. artists in a self-cancellation frenzy, leaving behind a dilapidated mental space and the labyrinthine traces of an unsatiated question mark? This was the question I was persistently raising throughout The Conscious Eye, Aigokeros 1988, a cross-disciplinary essay dealing with an eye that sees itself seeing, that thinks itself thinking, as it undergoes the crisis of self- consciousness that sealed the arts and sciences of the 20thc; an introspective attitude which revealed the linguistic-cognitive scaffold of vision and triggered modern crisis, mining with autognostic explosives our certainties; a cognitive revolution that shifted our attention from behavioral phenomena to their inner mechanisms. In that book i had made several references to the then rising science of A.I. as an introspective, philosophical tool, which, by externalizing the mechanistic aspects of our thinking helps us realize other ways of thinking; an obsession that drove me to anchor my insight on the then (1985) ongoing academic research applications in Prof. Seymour Papert’s A.I. department at the MIT. 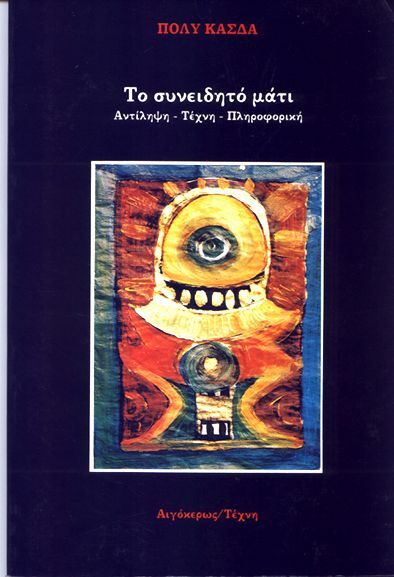 My research was documented in my narrative documentary The Adventures of the Eye, with documentarist Marco Gastine for the Greek national TV 1986. During the shootings, I met A.I.Prof. 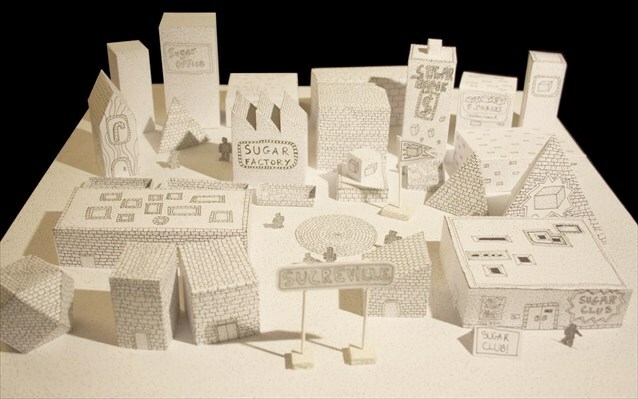 John Kontos who foreworded my essay The Conscious Eye, Perception-Art-Informatics that followed the documentary. Two years ago, after the lapse of a quarter of a century, Dr. John Kontos asked me to translate The Conscious Eye in English since he wished to ‘needle’ my old text with fresh information from the recent research developments in the field of Artificial Intelligence, Machine Consciousness and creativity, during the elapsing 25 years. A chunk or two years heavy with endless discussions on the nature of Intelligence and Consciousness followed this call. 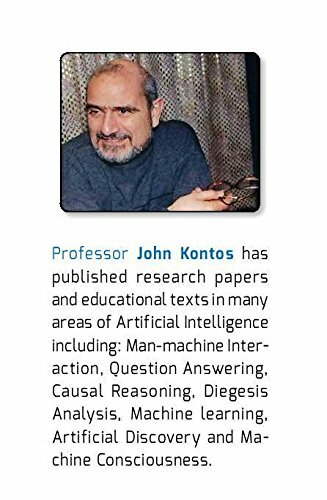 It resulted in the publication of our English book: Artificial Intelligence Prof. John Kontos “Needles” Poly Kasda’s Conscious Eye, southwind/notiosanemos ed.2015. In the meantime I started writing a narrative chronicle revealing the psychic experience underlying and sustaining my own self-combustive project Myth/Network during this elapsing chunk of 25 years: a self-reflexive speculation that resulted in the publication of my allegoric narrative When that Word swallowed me. 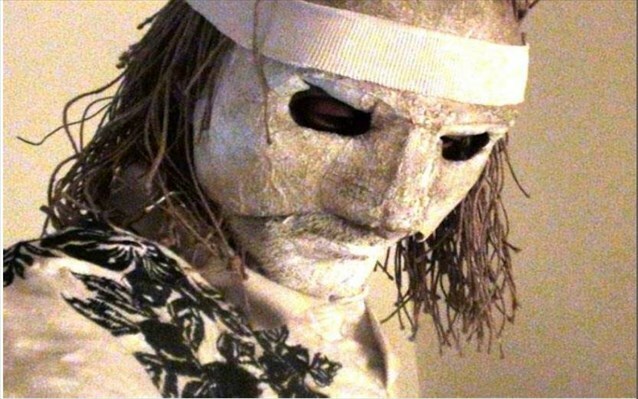 Its protagonist is Alfie “the perpetual resident of chaos”; a real persona with transcendental coordinates…". Dr. Manthos Santorinaios, Prof. Athens’School of Fine arts, director of the Master in Artificial Intelligence and Art department. Dr. Yannis Almyrandis, Democritos research institute of biosciences and applications director. 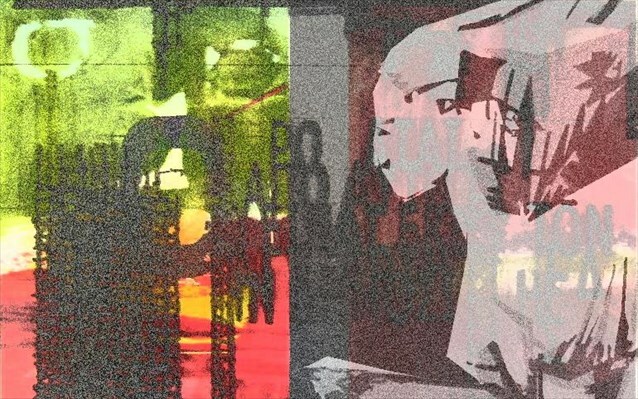 "In her essay The Conscious Eye she describes the consistent path of art, through the changes of the innner visual processes, before its breaking up into a chaotic process of many trends and structures that define our times. 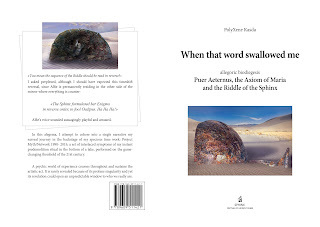 I wonder whether we should catch the line from this point on; the path through the concepts, the analysis of language and the contemporary mechanisms of its processing and the esoteric vision which her book projects as the record of an adventure”.
" she manages with a pre-scientific way’ Paracelsus, Leonardo’s , the witch-doctor’s and Huomo Universalis’ to connect the tangible with the intangible and to manifest in front of our eyes invisible dynamic lines that lend to our world a little more meaning"
"..intriguing artistic text… I take it as the other side of the mind from which the Conscious Eye emerged; a structured epistemological discourse that surfaced through that same impressive imaginary which reveals itself consistently over the artistic course of a lifetime. It is great it revealed itself once more in the form of this text. Thoughts that are hard to embed as language, thoughts and images that reside submerged within us, that we ourselves do not know what they mean, what needs they meet and in which unknown territories they game us to. Perhaps this narrative is a call to see, to reify the uncharted, terrible and unrecognizable dimensions of our human and non-human(?) imaginary. The Conscious Eye continues its search and investigation in the most elusive, controversial, intra-real dimensions of its existence". Mariana Zikou, Art-historian, introduction to P.Kasda's allegorical narrative "when that word swallowed me". “Kontos joined forces with Poly Kasda, an artist who studied “the self-combustive frenzy of 20th century art.” Her 1985 booklet, “The Conscious Eye,” foresaw developments in artificial intelligence. Kasda noticed painters in the twentieth century were obsessed with introspection: paying more attention to the workings of their minds than the products of their art. 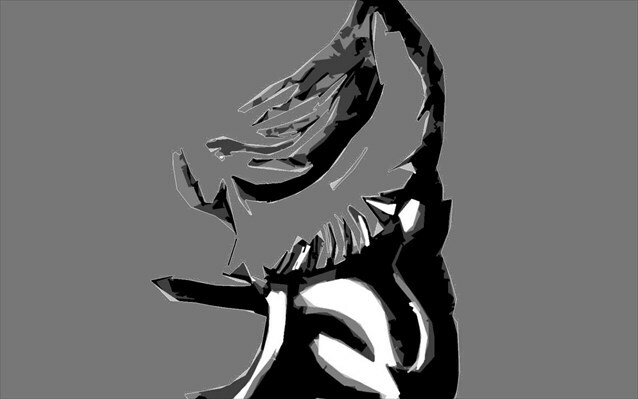 Introspection was also in the background of the rising computer programs in artificial intelligence. So Kontos grasped the ingenuity of Kasda and expanded it into this broad understanding of what artificial intelligence is all about. Kontos included a translation from the Greek of Kasda’s the “Conscious Eye” into this book, one text seeding and illuminating the other. Indeed, Kontos updates and rejuvenates the insights of Kasda, and, in this innovation, creates an exciting, timely, refreshing, and fascinating history of artificial intelligence - of what it could have become. 4.0 out of 5 starsAn interesting read and I really liked the book's unusual structure. 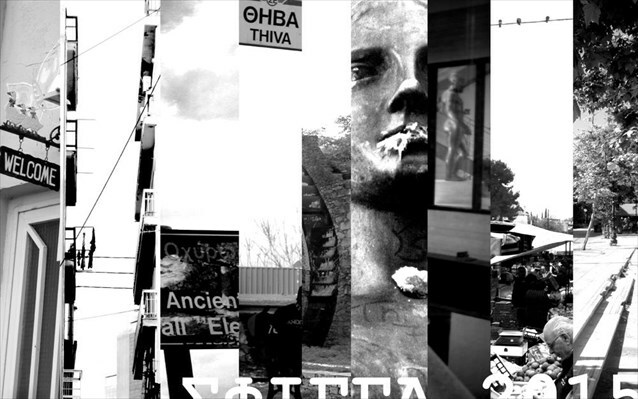 Kasda's Conscious Eye is an engrossing discussion of the move towards cognitive content in art. Kontos 'needles' key paragraphs of Kasda's text with discussions of contemporary work in artificial intelligence. Well worth a read if you want to find out more about art, artificial intelligence and the relationship between them.